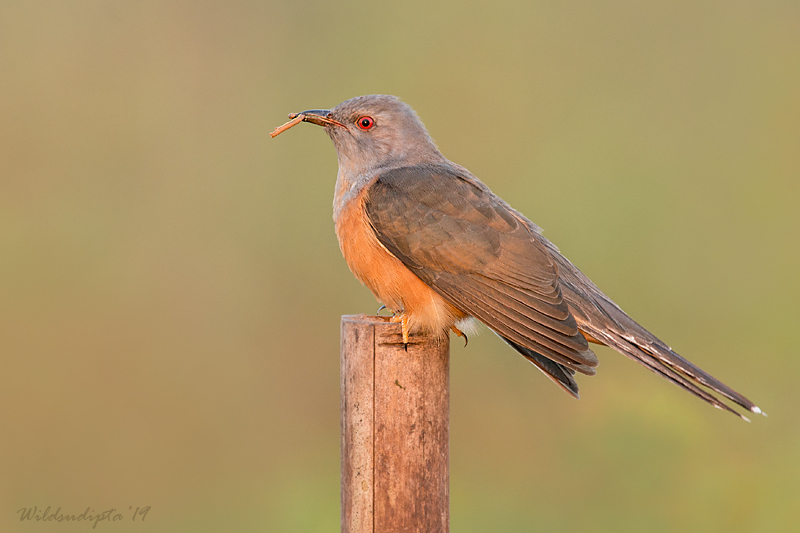 Plaintive Cuckoo with its breeding plumage and prey . Beautiful image in golden light with prey . Nice looking bird, well captured. Fantastic light and glow. Good job on the detail. The warm lighting and prey are wonderful – excellent image. Sweet light and the prey is a bonus. I like the placement of the eye in the frame. Nice perch shot with an awesome soft orange sunlight glow. It certainly is! A fine capture, Sudipta.